Do You Understand Common Commercial Property Terms? 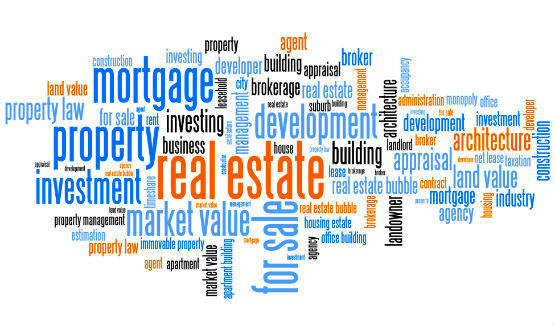 IT SURPRISES ME just how often I get asked to explain some of the more common terminology used with Commercial property. For the experienced investor, this short article might seem a little ho-hum. 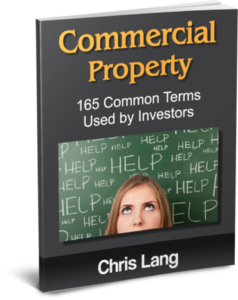 Therefore, here is a link for you to download a rather comprehensive list of over 160 Common Terms Used by Commercial Property Investors. As you’ll appreciate, it is vital you have have a clear understanding of the “jargon” being used. Anyway, let’s now make a start on the very basic items involved. This simply your Net Income divided by the selling price. And this is also affectionately known as the Cap Rate. Ignoring any borrowings or tax implications, the Cap Rate tells you what sort of yield you’re making on your investment each year. Your annual cash flow is your Net Income – what you have available to service any debt. This is the annual interest cost associated with your mortgage. This is the total income for the property including rentals, car parking, licence fees, naming rights and so on. You calculate this by taking your gross income and subtracting any building operating expenses and current vacancies. These relate to all the costs not recouped from in your tenants; and include things like … rates and taxes, insurance, any utilities relating to public areas, maintenance and general repairs. These expenses will generally be recovered from commercial tenants; and do not take into account debt service. You calculate this through dividing the area of the vacant tenancies, by the total net lettable area for the building. Now, you can download a detailed summary of ALL the common terms used by Commercial property investors – so that you have them at your fingertips. Hopefully, you’ll find them to be very straightforward and logical. Nonetheless, it’s really important for you to have a clear understanding of these terms, when you’re talking to your various consultants and advisers.